Throughout these last videos in the Drupal 8 developer prep series what we've done is illustrated how Symfony is used inside of Drupal 8. We looked at event dispatching. That was one of the most recent bits. We looked at dependency injection containers and how those are used. We looked at services - how we can override services and define our own services. We even looked at manipulating the request and response objects as well, but one thing we haven't looked at yet is how the HTTP kernel component is used. In the Symfony videos - if you remember - we used the HTTP kernel component in order to replace the bulk of our framework that we had built from scratch. It provided things like a controller resolver, an event dispatching for some of the basic events that exist, among a slew of other things as well. 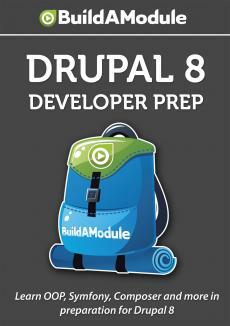 So, what role does it have to play in Drupal 8? Well, the HTTP kernel component is so foundational that most of the time you won't need to touch it at all. The one time that it is used in Drupal core directly and where there might be use cases for using it inside of your own code is for something called sub-requests. So, sub-requests are actually pretty cool. The idea is that you have one request normally.